Dandy elegance inspired by the wardrobe of globe-trotters. 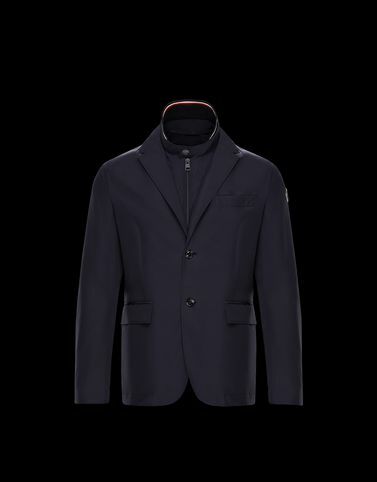 The Mayenne is a streamlined blazer with the proportions of a suit jacket that becomes technical with the use of water-resistant and insulating materials. A versatile piece that can be considered a staple for those always on the go in the city or out-of-town. Do not wash; Do not bleach; Do not tumble dry; Ironing maximum temperature 110°C - without steam; Dry cleaning in tetrachloroethene - mild process; Professional wet cleaning - very mild process; Dry flat; Wash separately; It is advisable to wash and iron the garment on reverse.